By now, we can stop pretending that 20-somethings are surprised when they learn that they have to pay taxes. Since a majority of young adults has held down at least part-time jobs since they were a teenager, they are acutely aware of the fact that Uncle Sam wants his piece of the pie. The truth is, even if you don’t have a six-figure salary (yet), an impressive investment portfolio, or any real estate, you may still qualify for deductions and credits that can make a big difference in your refund. Even if you don’t, working with a qualified tax professional can help you avoid costly errors and stressful audits, as well as save cash. Whether you made money online through something like freelance writing or selling custom artwork on Etsy, or provided tutoring for your neighbor, if you earned any income at all you have to claim it. IRS regulations require employers to send Form 1099 to freelancers (or any non-employee) only when compensation exceeds $600, but earning less does not exempt you from having to report that income. A tax professional can help you claim your income correctly, as well as help you make deduction that will lower your tax burden. For example, if you had to purchase supplies for your artwork, you may be able to deduct a portion of that cost, as well as selling fees, marketing costs, or even space for your studio or workshop. 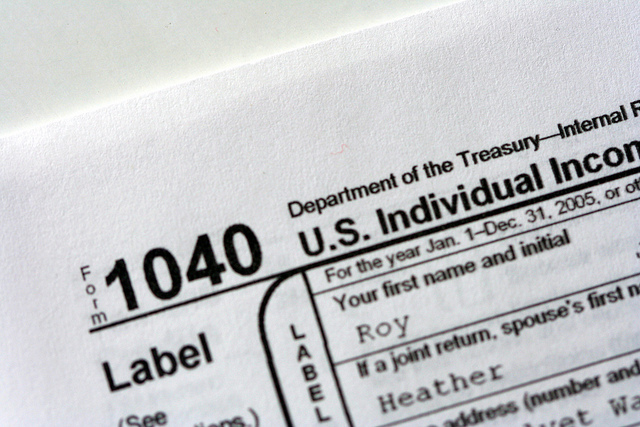 At the same time, you may have to fulfill certain tax requirements (such as filing sales tax reports) that if you skip, could get you into trouble with the feds. In fact, working with a tax pro before you start your business to get you taxes in order can get you off on the right foot and make it easier come tax time. Most people who have retirement plans through their employers make their contributions and think nothing else of it. However, if you earn less than $30,000 a year, those retirement plan contributions could make you eligible for a tax credit. The Tax Saver’s Credit encourages low-wage earners to save for the future by providing a tax credit of up to 50 percent of qualifying retirement plan contributions. For most 20-somethings, this amounts to a few hundred dollars, but it’s still a reduction in your tax bill and a potentially bigger refund. A tax professional can help you determine your eligibility for credits — there are others you may qualify for, such as credits for going back to school — and get your bill as low as possible. Moving expense deductions are one of the most misunderstood categories, and taxpayers are often surprised to find that they can’t deduct everything they thought they could. While only a tax expert can determine whether you qualify for a deduction, if you moved to take a new job — and that job increases your commute by 50 miles or more — then you can deduct moving expenses, including the costs to move your belongings, connecting utilities, lodging, etc. You will need receipts for your expenses, and not everything is allowable, but you can reduce your tax bill by deducting moving costs. If you get insurance through your employer, then all you need to do is check a box on your return. If you purchased coverage through the health insurance exchange, though, you have a little more paperwork to do. You’ll have to complete Form 8962, to determine whether you over or underpaid for your subsidized coverage, as well as submit a 1095 form to prove that you were covered for all 12 months of the year. If you weren’t covered all year, you may have to pay a penalty for each month you went without insurance. A tax pro can help you complete these forms correctly and help you hang on to more of your cash. The services of a tax professional will cost you some cash, but the savings — and peace of mind — that can come from that help are well worth the expense. Before you dismiss the idea of hiring a tax accountant, consider the benefits of doing so, and take steps toward a stronger financial future.